A rare 6V bulb is available with reasonable cheapness and it really helps It is quite bright as 6V. This review is about item#34923786. Because I purchased it by mistake, I have nothing in particular. However, as the next day I received it at hand, the correspondence is very early. This review is about item#34923777. I was saved because this specification had not been sold quite well. The design of the box is retro and very beautiful. It is worth buying 10 packs. This review is about item#34924023. 6V ball is unusual, I purchased it occasionally, but it was finally out of print. I'm sorry. This review is about item#34923917. 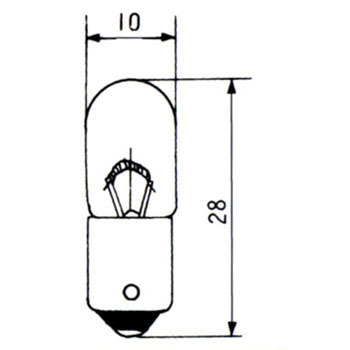 Thank you very much for purchasing cheap 6V bulb which you can not get easily.